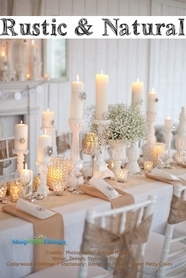 Home > Wedding & Event Decor > Fans & Parasols > COMING SOON! 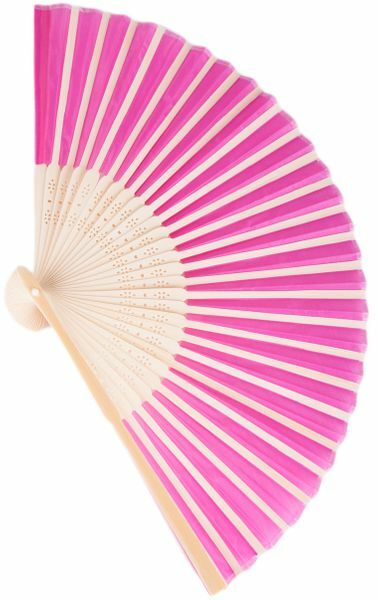 Folding Fan - Fuchsia Pink Nylon & Wood - 8 1/4" x 14"
Folding Handheld Fan Fuchsia Pink Nylon - This nylon fan unfolds to 14" wide by 8 1/4" tall and has wooden spines with intricate cutouts covered with fuchsia colored nylon material. These pretty fans make wonderful table decorations as well as thoughtful and unique gifts for your guests. There is a minimum order of 2. You might even save money by having your Bridal Party hold Folding Fans rather than Floral Bouquets! Handheld Fans and Parasols make a wonderful and thoughtful statement to the guests at your event that you've thought of everything! Temperatures soaring? Place a fan at every seat. Sunny outside? 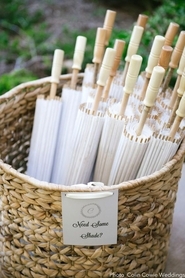 Leave a small basket of parasols available for guests to use. Parasols also look beautiful hanging from the ceiling, or placed with your centerpiece Decor. Fans can be arranged as placeholders as well. Purchase a beaded curtain, cut it up, and add strands of beads to your parasols! Paper Parasols can be painted to match your themes and Decor!